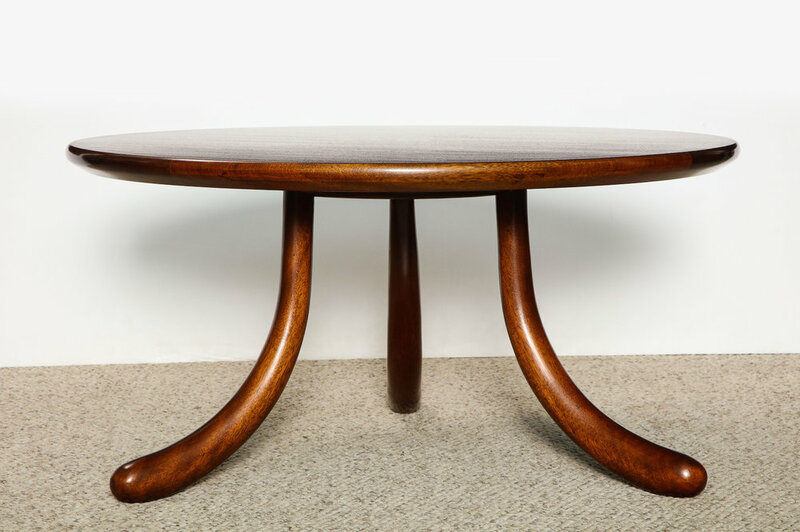 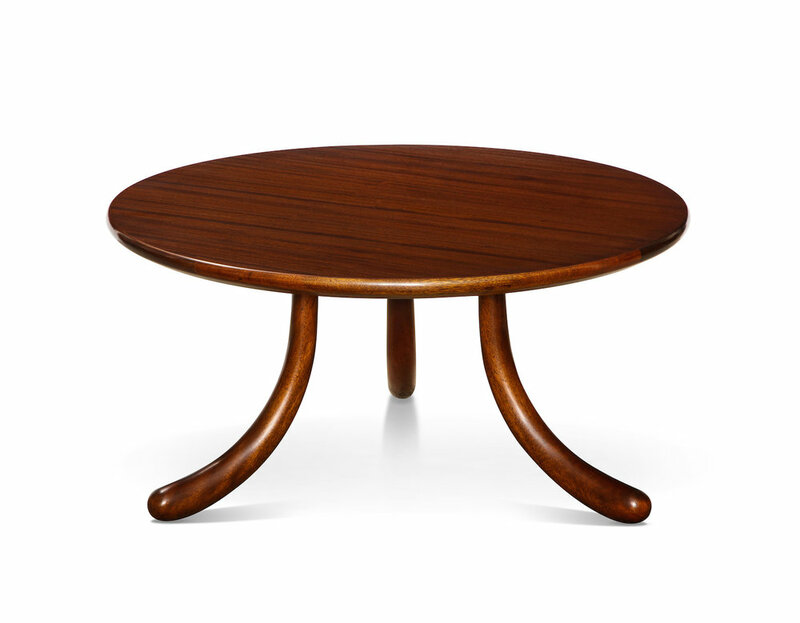 Circular table of solid mahogany. 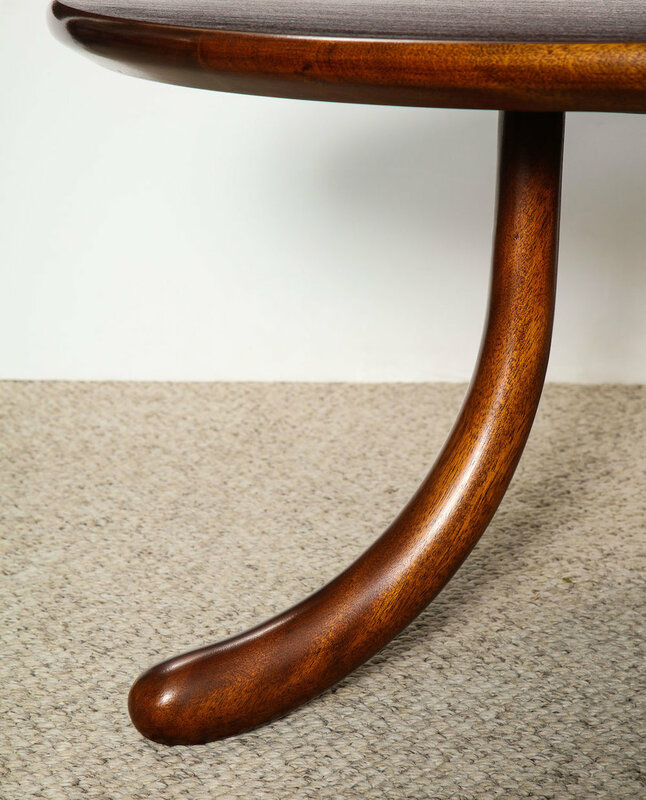 Unusual 3-legged design with rounded details & reverse tapering to each leg. 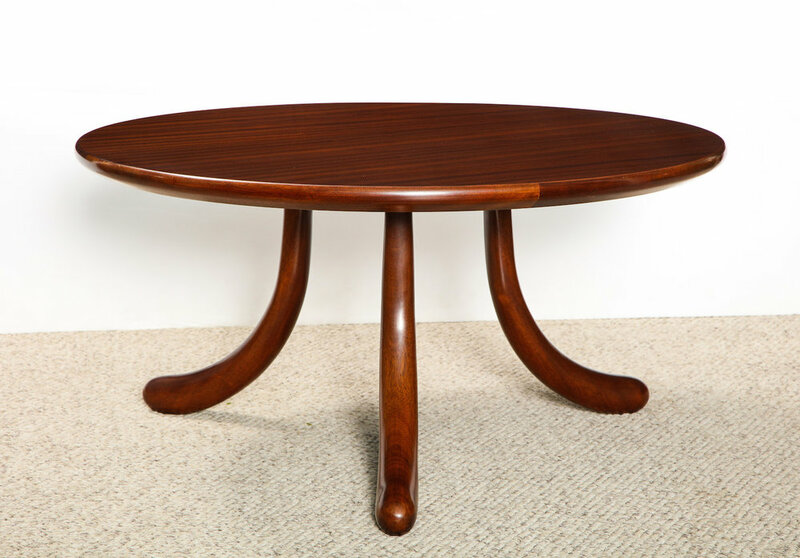 2nd matching table available.